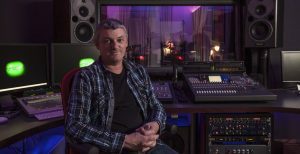 Established over fifty years ago, Avondale Studios has an enviable reputation for producing award-winning audio design, nationally and internationally. From radio and TV commercials to music composition and post-production, from radio drama and programming to corporate videos and web audio design. Located on Lower Baggot Street in the very heart of Dublin, we offer a fully integrated sound production service in a friendly, comfortable and spacious environment. We blend the latest in world-class sound recording technology, with the finest engineering experience and expertise, to ensure long lasting and rewarding relationships for both our clients and ourselves. Call us on +353 1 676 7410 for more information.